Ramadan is one of the months with countless blessings bestowed by Allah on this Ummah. An entire month to ask for forgiveness, learn about self control and become a better human being spiritually, physically and emotionally; Ramadan is a truly unique month. The well known verse about Ramadan states: “O you who have believed, decreed upon you is fasting as it was decreed upon those before you that you may become righteous” [2:183]. Whilst Ramadan is about spiritual re-connection, there is a huge need to link it to our physical routine. Consuming the right types of food in the right amount is important. 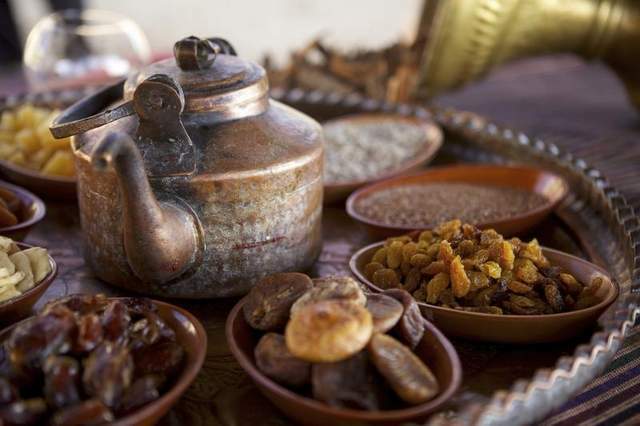 A few think that fasting would exhaust them completely and hinder their work output and others look at Ramadan as an excellent opportunity to lose some quick pounds and get their desired weight and figure! Surprisingly, both notions are incorrect. “The difference between our fasting and that of the people of the Book is eating shortly before dawn” [Muslim]. “Take suhoor as there is a blessing in it” [Bukhari and Muslim]. “Taking the pre-dawn meal in Ramadan is a blessing, so do not leave it, be it just drinking a mouthful of water. For Allah the Noble and the Mighty, and His angels send blessings over those who have taken the pre-dawn meal” [Ahmad]. Skipping suhoor these days has become a norm amongst some. Some complain about lack of time, others are negligent and simply choose to ignore this huge blessing. However, here are some useful tips to plan a nutritious suhoor meal well in advance. It is a beautiful Iman boost, and what better way to start off your day; you’re starting off your day on the right foot, marked by spirituality and productivity. Shun lethargy and sleep with wudhu. It is one of the most effective ways to wash away your sins, and your sleep as well! Begin with the precious tahajjud prayer. This is one of the easiest ways to start your day “early”, giving you enough time to wake up and remain alert. Start your meal with dates. Our Prophet said: ”How excellent are dates as the believer’s suhoor” [Abu Dawood, Ibn Hibban and al-Baihaqee; Sahih]. Oats are one of the easiest foods to cook. They have numerous health benefits as well and are filled with complex carbohydrates. These take time to break up inside your body. This is amazingly useful in releasing the right amount of calories at a slow rate, giving you energy throughout the day. This will prevent a quick burn up of calories, preventing you from feeling lethargic and tired during the day. Refined products on the other hand release calories at an extremely faster rate, making you feel hungry quickly, in turn making you tired and worn out. This is the toughest step as many cultural dishes tend to go for the fried option – however create havoc in the digestive system! These foods will force the stomach to release numerous enzymes and will take a longer time for digestion. Heartburn and diarrhoea are common symptoms associated with fried foods. They fill your stomach quickly, preventing you from eating further and so it is better to avoid as best you can. You can cut different types of fruits (preferably with skin) and mix them up in a bowl to make a nice salad. Add a handful of different nuts like almonds, walnuts and cashew nuts. You can also drizzle some honey on top. You can also boil vegetables or consume them raw depending on your preferences. Fruits and vegetables are extremely rich in nutrients like vitamins and minerals. They are also very rich in antioxidants. The latter prevents accumulation of free radicals (responsible for causing cancer and other detrimental changes in the body), and are extremely useful in protecting the body from numerous diseases and illnesses. Fruits and vegetables are natural sources of fibre, which is crucial in preventing constipation, a problem experienced by many during fasting. Fibre builds up roughage, helps in cleaning the bowel, and provides satiety and fullness while eating, making you feel satisfied and full. Milk is the drink of the Ummah, and the benefits of honey are numerous and have been noted in the Quran for medical benefits. We should appreciate the great blessings of honey. Salt removes excess water from the cells, making the cells dehydrated. This in turn makes your body dehydrated, making you feel thirsty very quickly. Salty foods or a high intake of salt is therefore not advisable while fasting so for those who like to sprinkle salt on everything – now’s the time to stop! Soups on the other hand fill your stomach but do not provide enough calories. Avoid tea or coffee. These beverages are not preferred whilst fasting. They dehydrate the body and release toxins which in turn need to be flushed with water, and are therefore not advisable while fasting. So, drink water/juices instead. Eggs are good to include in your diet, for those on a weight loss program, avoid the egg yolk but include egg white in your meal. Consume them in boiled or poached form. Do not fry them. Fish and chicken can also be consumed liberally; yogurt too is another good source of protein. It has many health benefits, and is tasty but use in moderation! Always remember to plan your meal in advance. This way, you will be prepared and know what exactly you have to cook early in the morning. Eat right, and maintain a positive attitude to feel cheerful and energetic. Enjoy the benefits of a blessed Ramadan and get your productivity soaring Insha’Allah!